What are we to make of this Jesus fellow? It is a question with an ancient history that continues to have contemporary significance. What we believe about this individual whose life made an incalculable impact on the world, in a very real way defines us. And divides us. Is he God, or was he just a man? Was he a misguided zealot with messianic ambitions, or a meek and mild itinerant preacher spreading a message of love and forgiveness? Did he set out to start a new religion, or did his disciples just get carried away? Is he still alive or is he still dead? The question of divinity is, of course, the game-changer. If Jesus is God the Son, he matters to us, whether we realize it or not, whether we like it or not. If he was just a man, he has no real effect on our lives and we can safely choose to disregard him. But if we believe him to have been a human being no more divine than any of us, we have to find a way to reconcile some incongruities. In particular, that he claimed to be God, making him a bit of a nut case if he wasn’t. Or a scheming liar, which would be quite paradoxical considering his consistent message of obedience to God’s commandments, and his claim to be the Truth. Such a one would not be a good teacher but an evil manipulator. But even unbelievers have clearly recognized and affirmed the high moral character of this 1st century preacher. So when a Jew today says, “Many Jews, like me, even like and admire Jesus, that fiery Nazarene, for his radicalism, his truth telling, kindness and courage…(but I) don’t believe the man was God,” I have to question how much he really knows about him. Rob Eshman, publisher and editor-in-chief of the Jewish Journal, made these comments recently in an article objecting to former President George W. Bush speaking at the Messianic Jewish Bible Institute, a training facility with a mission to evangelize Jews with the Gospel of Jesus Christ. Eshman maintains that all Jews agree that a Jew stops being a Jew the second he or she believes Jesus is the true Messiah. Hence, the MJBI and groups like Jews for Jesus are actually out to rid the world of Jews, so it’s anti-Semitic and inconsistent for a prominent supporter of Israel like Bush to associate with them. And just to be clear about who he was claiming to be, he makes a statement no simple human could ever make: “Truly, truly, I say to you, before Abraham was, I am.” (John 8:58) The Jews knew exactly what he meant because they quickly picked up rocks to stone him for blasphemy. There were Jews in Jesus’ day who believed him to be their promised Messiah – all the apostles were and most of the earliest converts. That they maintained their Jewish identity is clear from the historical record of the Jews as an ethnic people, not just a religious group, and from multiple references in the New Testament of their continued privilege as the chosen nation of Israel, beloved and favored by God. Thanks for the post, Caroline! As ex-Catholics who have accepted Jesus Christ as our Savior, we have much in common. Praise the Lord that He led us both out of religious legalism! As you’re probably aware, many evangelicals these days unfortunately embrace Catholicism as a genuine branch of Christianity. I see you’re an admirer of Dr. Ravi Zacharias but both he and C. S. Lewis acknowledge/d the Roman Catholic church as genuinely Christian. Please see my posts below. I certainly do not mean any disrespect to you with this note. I’m just very sad that evangelical pastors and para-church leaders, such as Dr. Zacharias, have blurred the Gospel of grace and led believers and Catholics astray by embracing Catholicism. Hi, Tom. I praise God also for the work he did in me to draw me out of the Catholic Church. I will never go back, though I have several family members who keep trying to woo me. But let me ask you something: what makes one a Christian, in your view? Receiving Him and believing in Him aren’t only intellectual assents but heart and soul assents. What makes one a Christian is realizing our sin condemns us before a Holy God and that we have no plea, that Jesus, God the Son, came to this Earth to pay the penalty for our sins, that He conquered sin and death when He rose from the grave, and that He offers the free gift of salvation to all who accept Him by faith. It’s the Holy Spirit who opens our eyes to our sinful state through God’s Word and leads us to Christ. Is it not possible for a Catholic to truly believe and trust in Jesus? Of course, I believe that salvation is by faith alone, but I think that many of us, if we really stop and think about it, are believing (at least when it comes to Roman Catholics) that salvation is by faith IN salvation by faith alone. And the Bible doesn’t say that. It’s by faith IN Jesus. Yes, I’m sure many Catholics have accepted Christ but that was in spite of official Catholic teaching. I’m sure many Catholics became so exasperated trying to stay in a “state of grace” they finally just threw up their hands and asked Christ to save them. Regarding your second point, my faith is not in theology but in Christ alone. Catholics faithful to their church’s teaching cannot say their faith is IN Christ. They must ALSO “cooperate with grace” and ultimately merit their salvation as their catechism teaches. This is the way I see it, Tom, after 30 years outside of the “one, true Church”…if a person believes in and submits to Jesus as God and Lord they are born again and sealed for salvation. If they don’t believe that that trusting faith saves them, that does not disqualify them from it. The Bible doesn’t say that all our beliefs have to be true in order to be saved. So although I take issue with and work to expose the errors in Catholic doctrine and practices (see my month long series on why I left the RCC here), I believe individual Catholics who truly love and trust in Christ are saved. Caroline, I don’t want to quibble so I’m done after this comment. I don’t think a person is saved by theology either. A person is saved by believing/trusting in Jesus Christ. But many people say they “believe” in Christ the Savior and then go about trying to save themselves by being “good,” through church membership, etc. If one genuinely believes in Christ the Savior they don’t believe their salvation depends on themselves in any way. The pope says everyone can earn salvation – Muslims, Hindus, Buddhists, even atheists – if they “follow the light the are given” and are “good.” That’s not the Gospel. All churchgoing Catholics would say they “believe in” and “submit” to Jesus but set about trying to merit their salvation as their church teaches them they must do. Thanks. 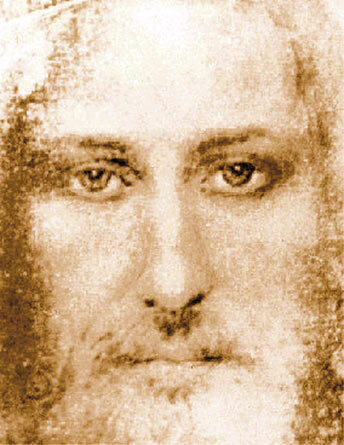 The is no evidence to suggest the character , Jesus of Nazareth was in any way divine. Neither is there any evidence for the disciples. That is purely a theological assertion. The quote you use citing the character Jesus referring to Abraham suggests you refuse to acknowledge that the Pentateuch is historical fiction. Therefore, why would anyone wh realised this reference Abraham? Surely, even you, Caroline, must realise the bible cannot be used to justify the bible? All churchgoing Catholics would say they “believe in” and “submit” to Jesus but MOST set about trying to merit their salvation as their church teaches them they must do. Thanks.